Terrariums and aeriums suffered a lag in popularity after the 1970s (along with gauze shirts, puca shells and macramé). 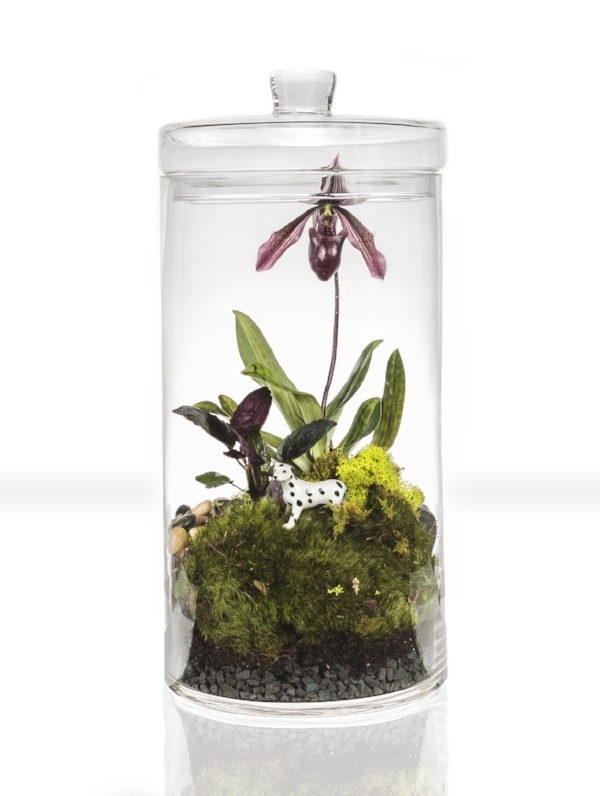 But unlike their iconic counterparts, terrariums and aeriums have made a big come back. This renewed popularity may be because they are low maintenance. Or that indoor plants offer several health benefits. Or the intrigue of the science that makes these ecosystems thrive. Likely all of the above, but one cannot overlook the fact that modern terrariums and aeriums are no longer “square”. My first terrarium as a child was a re-purposed fish tank. I loved making it and I was fascinated with it as I watched the micro weather system inside it change throughout the day. But it was big and klunky and thus had to live on the bookshelf on the side of my room. Today I love making terrariums and aeriums just as much as I did in childhood and am equally fascinated with each one I create. Since my terrariums come in many shapes and sizes, they can play a bigger role in the interior décor AND take up less space in the process. That’s cool! 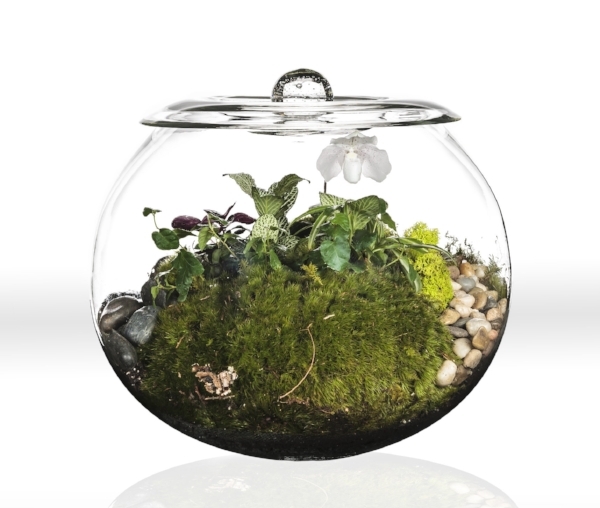 Terry Furuta Designs offers several shapes and sizes of open and lidded terrariums to suit any space or visual taste. Globes with lids are the lowest maintenance option while open terrariums can accommodate a broader choice of plant material such as live, blooming orchids. Aeriums have come a long way too in terms of variety. (If you’re unfamiliar with aeriums, please read more here.) And, aeriums can sit on a desk or table, but they can also hang from a shelf or the ceiling. There are several species of air plants that can thrive in aeriums but other plants, stones, minerals and sand can also bring aeriums to life. Today, terrariums and aeriums can really become part of the space that you live in. And when indoor plants live alongside you they invigorate you AND your interior. Much has been written about the Biophilic effect plant material can have on humans. The miniature quality of the ecosystems within these beautiful glass containers can capture your imagination, draw you in and transport you back to the forest or the coast, or any other place in nature that rejevenates and restores you. Now that is definitely COOL! Click the links to explore more about terrariums and aeriums.